They have to be Spiritual. 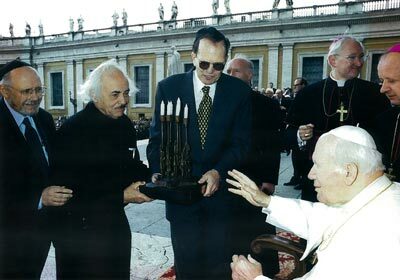 The connection of rationality and religion can also be seen in the interaction between science and religion which can best be summed up by Albert Einstein who stated "Science without religion is lame, religion, without science is blind." We believe that each religion must try to meet and embrace these three precepts in their own way. Here, are the 10 Principles of Rational Religion as presented on Caucus New Jersey, the Emmy Award winning show hosted by Steve Adubato that was aired on October 24, 2015 on WNET (PBS, NY), Channel 13 and its affiliated networks, WLIW (Long Island) NJTV (New Jersey) and WHYY(Philadelphia). We believe that religions in every generation should respond rationally and creatively to the challenges of contemporary society and that reason and experience provides the foundation of religious practice. We believe in embracing openness to truth from every source, including philosophy, science, art and literature. We believe that change is an ongoing process that prevents rigidity and keeps a belief system alive. We believe meaning in our lives comes from the pursuit of justice, a sense of humility, the idea of mercy and an obligation to make peace with ourselves and with other peoples of the world. We believe that tradition and ritual are a vital part of religious practice and must comport with the highest standards of ethics; ritual solidifies religious ethical values and gives expression to our sense of self and our relationship to the Divine. We believe in the intrinsic dignity of every human being and that every person, however humble, deserves respect and support. We believe that God may be experienced when we lift ourselves above the pettiness, the littleness and the selfishness of life. We believe that all humankind is interrelated, bound by a common fate and a common future. We believe that we must be willing to acknowledge and respect the value of all religious traditions and work together to find common ground and strive for the betterment of all. We believe that peace is realizable and that a just society on earth is possible. In terms of Judaism, the concept of rationality in religion has been historically espoused by its great philosophers such as Maimonides and Hermann Cohen. 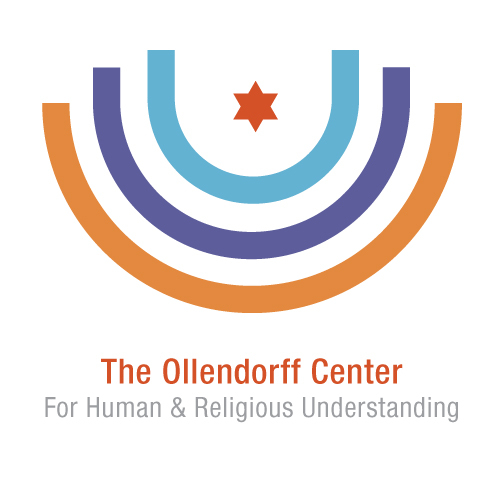 To properly reflect the precept of Rational, Ethical and Spiritual Judaism in today's world, The Ollendorff Center has collaborated with Rabbi Jack Bemporad, the noted theologian and scholar to develop The Ten Principles of Judaism. Please visit the 10 Principles of Judaism to learn more. We also encourage you to visit our website to view the many significant projects developed by The Ollendorff Center.